As May draws to a close I feel I would be remiss if I were not to mention that May is National Gifts from Your Garden Month. I know April is National Garden Month, but how many places are there in the United States where it was really warm enough to really enjoy getting out in your garden this year? Here in Amarillo, Texas April was really cool and May almost blew us away. Thankfully we are beginning to get rains now and that makes me want to work more in my garden to have lovely flowers, herbs and vegetables to share. If you have not already prepared your herb and garden beds, I would invite you to join Rod and me (we are running a little late) in getting out in the yard and digging in the beds. Be sure to wear your compression socks or compressions stockings when you get out in the yard. At the end of the day, you will have enjoyed your time in the garden more if your feet and legs are not swollen. Remember, compression stockings work best when you are moving. If you have no yard, I would suggest you fill a plant pot with herbs and place on a sunny porch or patio. There is something about having the scent of herbs around you that is so nice. 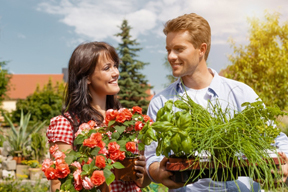 Once your flowers and herbs begin to mature, you can pick a few and make an herbal bouquet to take to a friend or neighbor (especially one that is shut in). The little walk will make you feel better because your calf muscles are working in conjugation with your support hose and increasing your circulation and you have brought a bit of sunshine to someone’s life. I am quite sure you get tired of me trying to persuade you to get up, get out and get moving. 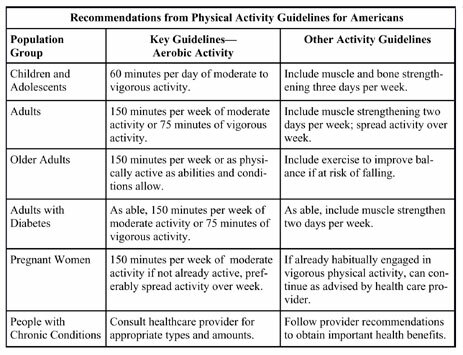 When you view the chart from National Podiatry Association that I have included below, you will realize how each and every one of us needs to increase our activity. If we start with small steps and are successful, we can build up our stamina and increase our quality of life. Perhaps the greatest gift that comes out of your garden is the gift you give yourself.